Have you heard about NearMinder? 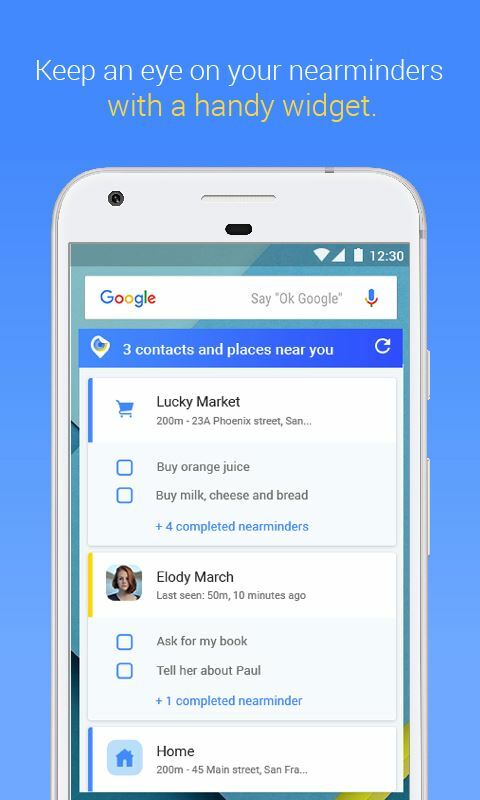 It is the world's first app allowing you to set reminders based on proximity to people and locations. The idea came from the fact that most things we need to be reminded of, have to be done at specific locations or with other people. 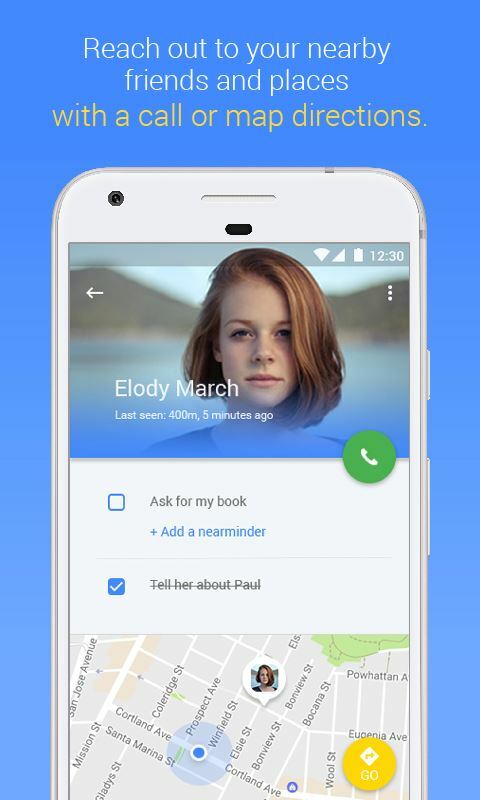 Surprisingly, not any location-based reminder app offered the contact location-based feature! That's what NearMinder is tackling. 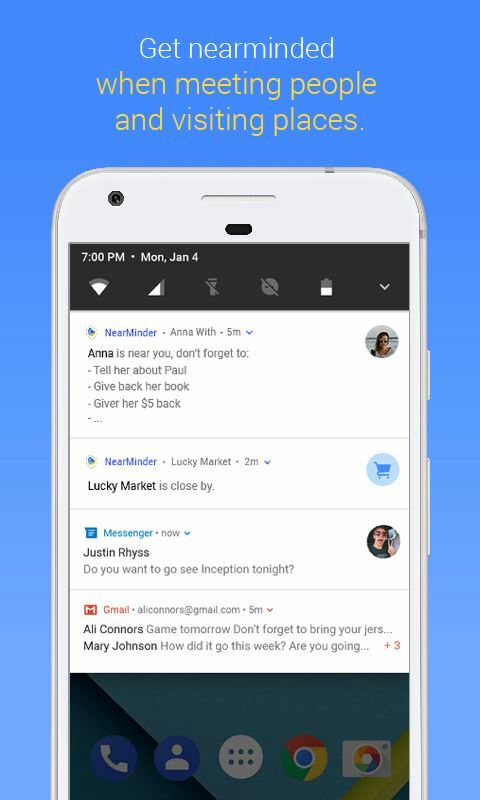 NearMinder makes people's life easier by reminding them to do things as they are on-the-go. No need for to-do lists or alarms anymore, NearMinder does it all, at the right time, at the right place and with the right people! 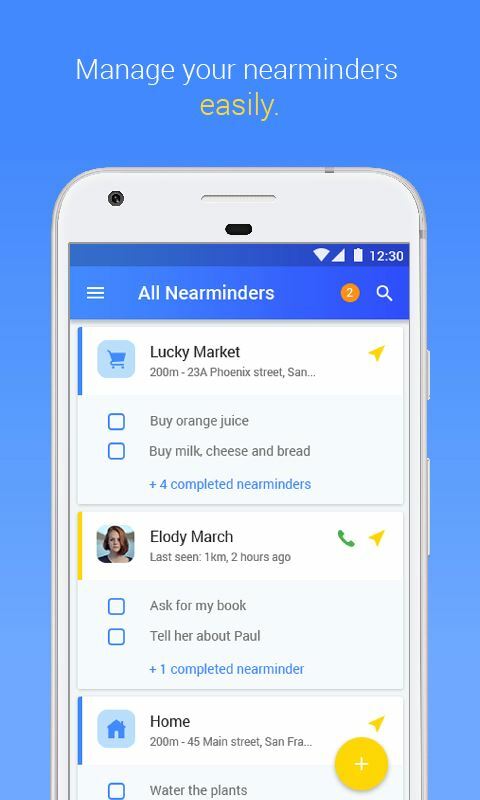 With NearMinder you can meet a friend, a family member or a co-worker, pass by a shop and get back home while being notified of everything you planned to do, on the spot. 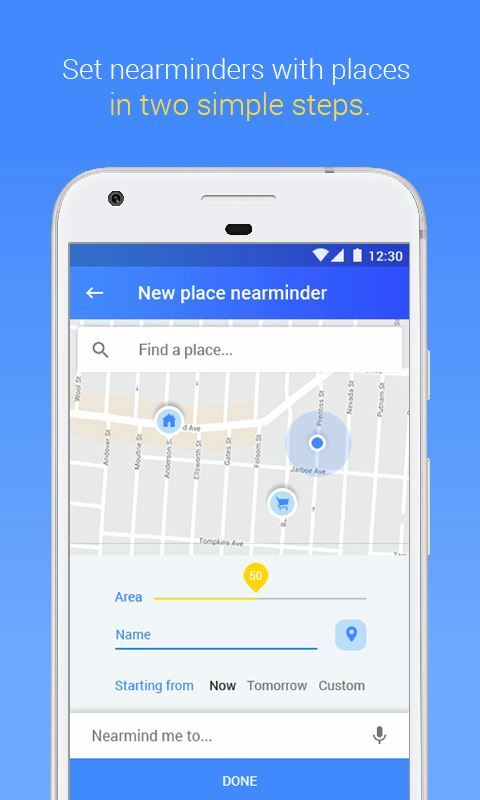 NearMinder is easy as pie: create a reminder by selecting a contact in your phonebook or a location on the map, enter the label of the task you have to do with that person or at that location along with a date for the reminder to be triggered and start getting notified when this person or place is nearby. This app is 100% free and ad-free! It's available in English on Google Play Store.